Prevents your pants from getting dirty with chain oil. Hand made in Bucharest, Romania, out of used bicycle tyre, which means is eco friendly and will also last a very, very long time. 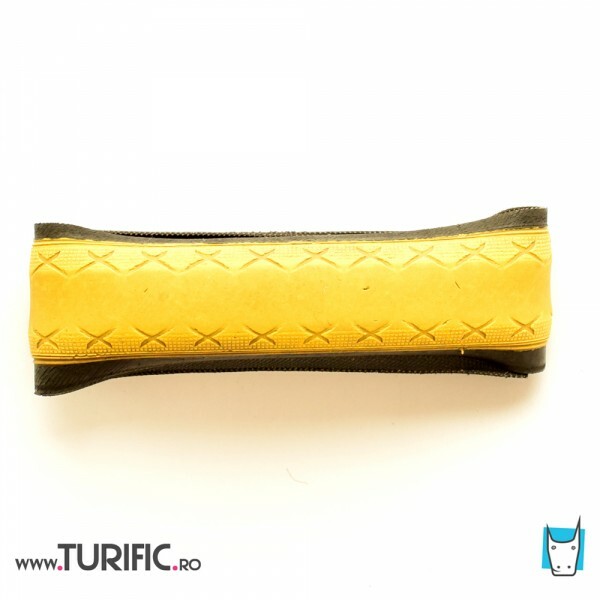 The tyre was ridden on the streets of Bucharest until no longer usable for bike riding ~ now it has a new life and new meaning. Dimensions: around 5 x 38 cm. 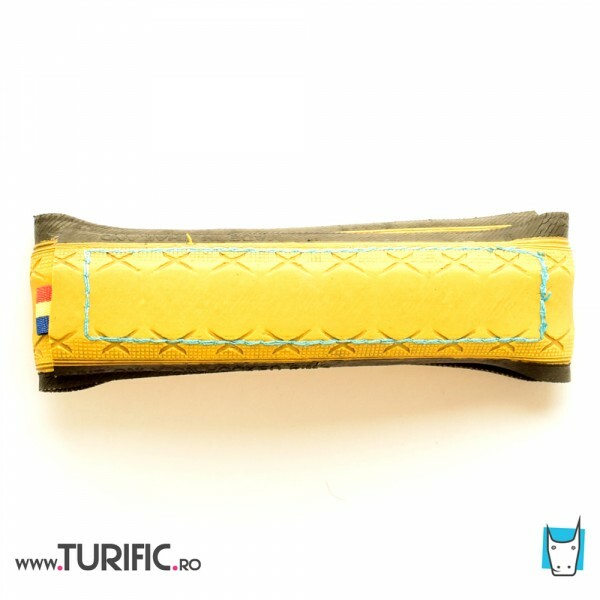 Small Romanian flag sewn underneath one end of the Velcro. thread color may be different from the one pictured here.